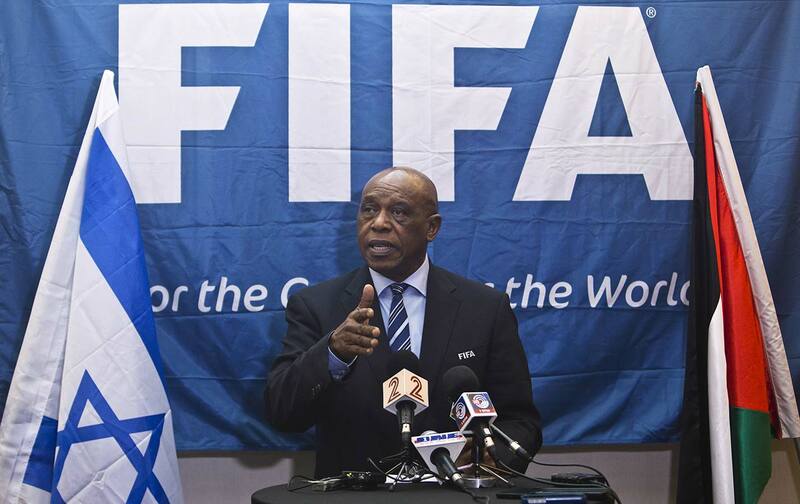 Human-rights organizations have a simple demand for FIFA: Follow your own bylaws. The situation for Palestinian and Arab soccer players in Israel, the West Bank, and Gaza has for some time been dire at best. On one side of the wall, segregated youth teams, racist abuse, and heckling—including charming chants such as “Death to the Arabs”—are working hazards of taking the field. On the other, checkpoint detention, imprisonment, and the bombing of soccer stadiums have become regular features of what is supposed to be the people’s game. Given the powerful role that soccer plays as a point of community cohesion in the West Bank and Gaza, this everyday violence has been interpreted as a full-frontal attack on civil society, normalcy, and hope. This week, a wide coalition of human-rights organizations has announced their opposition to FIFA’s decision to drag their feet on this issue indefinitely. The Palestinian Football Association, Human Rights Watch, the UN Special Adviser on Sport for Development and Peace Wilfried Lemke, and Palestinian solidarity organizations around the world have demanded that soccer teams based in illegal settlements be moved or disbanded. In addition, a petition has been presented, addressed to new FIFA president Gianni “Johnny Baby” Infantino and signed by almost 10,000 football fans, asking for resolution of this question. Their impatience is warranted. Initially, the FIFA Monitoring Committee on Israel-Palestine was expected to deliver a report to the FIFA council by October 2016. But Infantino has quashed the report until it can be unveiled at the larger FIFA Congress in May 2017, where the vast landscape of competing interests and the outsized influence of countries like the United States will make passage of anything deemed controversial a near-impossibility. The decision to suppress the report in the name of “constructive engagement with Israel” feels particularly hollow given the decision by Infantino in 2014, when he was the powerful head of the Union of European Football Associations to ban clubs in the annexed Crimea region from competing in Russian tournaments. Infantino was not open to “constructive engagement” with Russia, but seems to feel differently when it comes to Israel. It is an argument that rings particularly hollow to campaigners in South Africa, who are far too familiar with this kind of equivocation. The answer to whether FIFA should recognize teams that operate in illegal settlements should be common sense. Instead, we get obfuscation and delays in a situation that should be—pardon the mixed sports metaphor—a slam dunk.